"Expressing a Mother's Infinite Love"
This beautiful infinity ring can be customized to fit your desires and communicate the never-ending quality of that special someone. 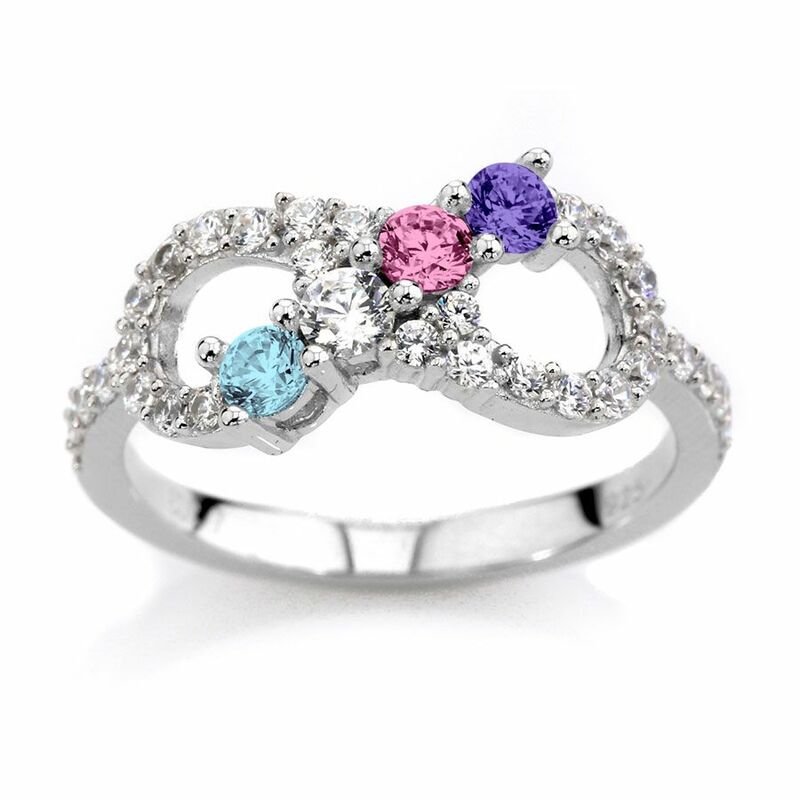 Whether you want to bedazzle the world on those very special occasions in your life or express your love for that special someone, this elegant infinity Birthstone Ring is the perfect choice for you. This beautiful infinity ring can be customized to fit your desires and communicate the never-ending quality of that special someone. This Mothers birthstone ring is currently available in rhodium plated sterling silver and yellow, white, or rose 10k or 14k gold. Get it customized with your choice of natural or imitation gemstones. You can further personalize this lovely mothers rings by selecting the number and type of gemstones and choosing between natural and imitation birthstones. Gold options allow you to select Swarovski zirconia or Diamond on the side stones as well. The beautiful Birthstone ring piece will catch eyeballs from all corners on the street or at the engagement of your best friend when paired with casual or party wear. Mother's Day Rings, Mother's Rings,Nana ring make a great gift for mom! Gift her This Ultimate Infinity Mother Birthstone Ring, Mom Birthstone Ring, Mom Ring, Nana Ring, to show her that she is special and loved!